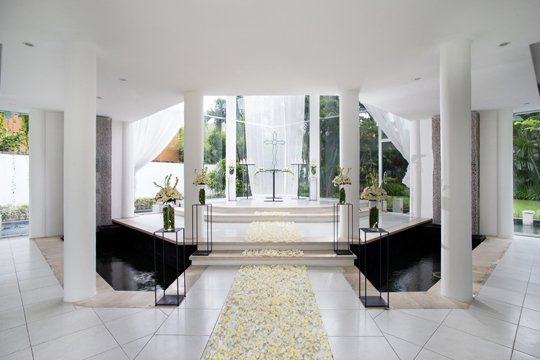 Santi Chapel at The Kunja is the jewel in the crown of wedding venues in the Seminyak area. 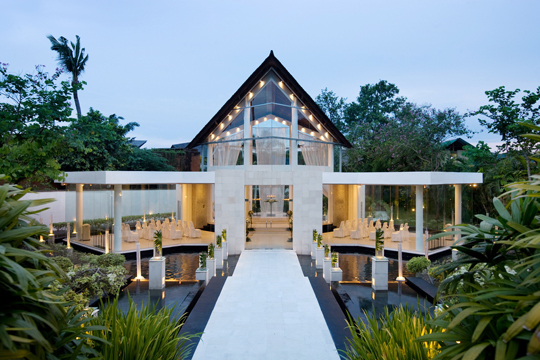 The chapel blends the beauty of Bali’s nature into your wedding ceremony and is equipped to seat all your loved ones within its luxurious space. The chapel features cascading terraces of water in the image of Bali’s rice terraces, enveloping an award-winning glass chapel perched on an island of green. To ensure your special day is fully catered for, The Kunja’s specialist staff tirelessly work in-house and in conjunction with Bali’s leading wedding planning agencies to ensure your experience is the special day you always dreamt of. The Kunja is one of Bali’s favourite villa resort destinations, centrally located within walking distance of the best of the island’s contemporary and trendy offerings. 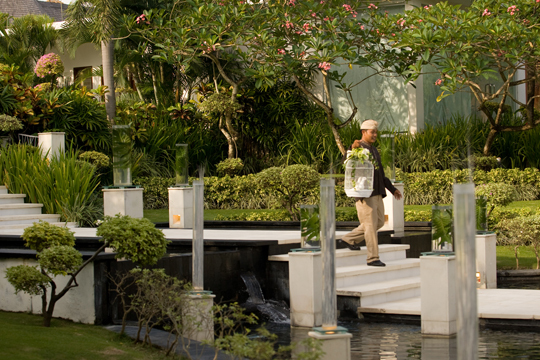 Renowned for its privacy and sophistication, many wedding couples opt to extend their stay at The Kunja as honeymoon guests.